Thinking about traveling with kids and want a compact travel crib or toddler travel bed? Looking for a portable crib for the home but thinking something less bulky might be the way to go? You have come to the right place. Here at Travel Crib Reviews, you can find reviews of all the best travel cribs and toddler travel beds written by a traveling mom. There are a wide range of travel cribs (or travel cots, depending on where you are from) on the market and picking the right one can be confusing. Making the wrong purchase can cost you time and money. 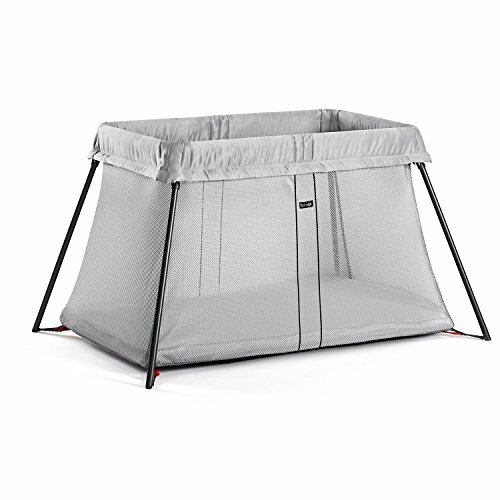 See the top rated travel crib – click here. Read our full review of the BabyBjorn. Portability – how small and lightweight the travel cribs are when dissembled. Ease of use – how easy the travel cribs are to assemble, dissemble and keep clean. Comfort – how comfortable the travel cribs are for your infant. Age range – what age range each travel crib is suitable for. Safety – how safe the travel crib or toddler travel bed is for your child. You can also read more about travel crib safety standards at the CPSC. Check out the full travel crib buying guide here. They are not just perfect for travel, but also make a great second crib for use around the house. They are especially a good choice if you are short on storage space in the home. A toddler travel bed is basically a fold up bed suitable for toddlers and preschoolers. They are usually for children 2 – 5 years old. 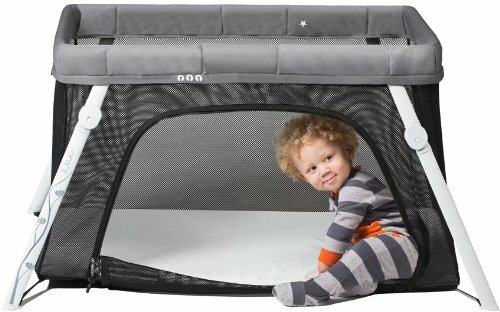 Unlike a travel crib, they do not have high sides and are not designed to keep your child contained. Read more about toddler travel beds including our reviews of the top rated beds. The Leachco BumpZZZ is a great example of a travel bed. If you are looking for a travel crib for a one year old, a travel crib, rather than a toddler travel bed, should suit you better. What is a Kids Travel Bed? A kids travel bed is the same as a toddler bed, except bigger for older kids. Read our full guide to the best kids travel beds here. What is a Portable Crib? A portable crib is the same thing as a travel crib – just bigger and bulkier. They are also often cheaper so these can be a popular option if you are mostly looking for a second crib for the home or to leave at the grandparents. Read our full guide to the best portable cribs here. What is a Play Yard? A play yard is a portable enclosure for your babies and toddlers to keep them safe while they play. Sometimes these double up as portable cribs or travel cribs and sometimes, they are just a small fence you can move around the house and outside. Read our full guide to the best play yards here. We also have reviews of other baby equipment on this site including the best baby gyms, the best crib mattresses and the best crib sheets. Each travel crib rates differently for the factors above. Here is a quick guide to the top 2 travel cribs on the market. You can read about many more in our guide to the best travel cribs. The Baby Bjorn Travel Crib is the best travel crib available. It is compact and portable. It is constructed using only the best materials and will last through several children. This crib only takes moments to assemble and dissemble and is the most comfortable travel crib. It is recommended from birth until three years old and is the best travel crib for baby. Read the full review. The Lotus is one of the best travel cribs available as it is suitable for a large age range and comes with many extras. It can be used as a playpen, outdoors or as a bassinet. The Lotus Travel Crib is recommended from birth until at least three years old, is easy to assemble and can be taken on flights as carry on baggage. Read the full review. Check out the comparison chart here. If you are trying to compare the Lotus Travel Crib vs Baby Bjorn, you really can’t go wrong with either option. However, the basic differences to consider is that the Lotus Travel Crib is heavier than the Baby Bjorn but it can be taken on the plane as carry on, the Baby Bjorn cannot. The Baby Bjorn is also more expensive, but more comfortable. The Lotus Travel Crib is cheaper and should last your child longer. All travel cribs and toddler travel beds on this site meet all safety requirements. They are also safe for your baby to use. 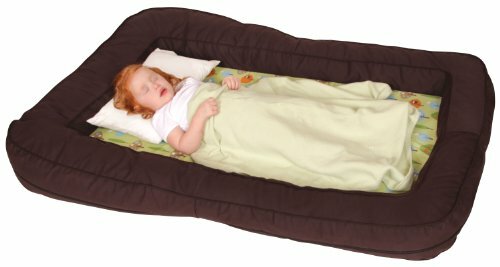 Unsure about whether you need a travel crib or toddler travel bed? Check out our article on this topic. Any further questions? Please contact me.